r a m y h a n n a . c o m: 3D Process / Post Process: tricks revealed! Many of you have asked for my post production process…so here it is. I typically use AE (Adobe After Effects) for my post work, but for this post I’m demonstrating in PS (Photoshop) because most people use PS over AE for stills. However the principles apply to all software. Also, I’m trying to keep it “out-of-the-box”, rather than show a lot of plug-ins. I always suggest learning the techniques with the software, then after understanding how to create them, go get the plug-ins to make your job faster-not better. Some of you already know, but I do most of my modeling in SU (SketchUp). Not because it’s better than Max, but I find it super fast for building design process. Because we do architecture, SU is very good with boxes and simple shapes. If you want to get into character modeling, Max or Mudbox is better for that. I also start materials and texturing in SU. I find SU super easy and fast for texture layout. If I texture most things correctly in SU, I can almost avoid the UVW layout process in Max entirely. The materials in SU are nothing special, just place holders really for the maps I want to use in 3ds Max. Using Max 2011 has been great, because I can import SU files straight from Max without needing to export models from SU. This new importer in max is incredibly powerful. It respects instanced components from SU, remembers UV texture position from SU, and converts SU materials to A&D materials automatically….amazing tool. During import I opt not to import the SU cameras. 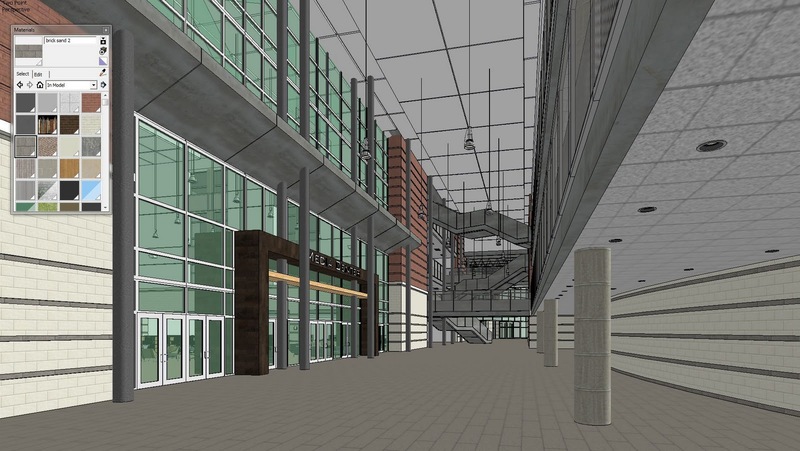 I prefer navigating in 3ds Max to get my actual camera angles. 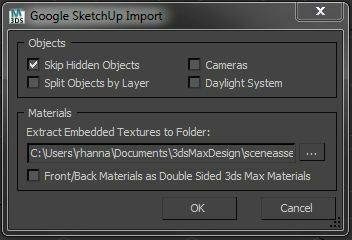 This is where I add any entourage from my library of 3ds Max models. Furniture, cars, plants, trees, etc. all get added here. Then I begin texturing. I swap out SU textures for better texture maps. Or sometimes I replace a texture map with max procedural maps like tiles and gradients. Some of the general settings for my A&D materials: If I can keep glossy samples to 8 then I do. 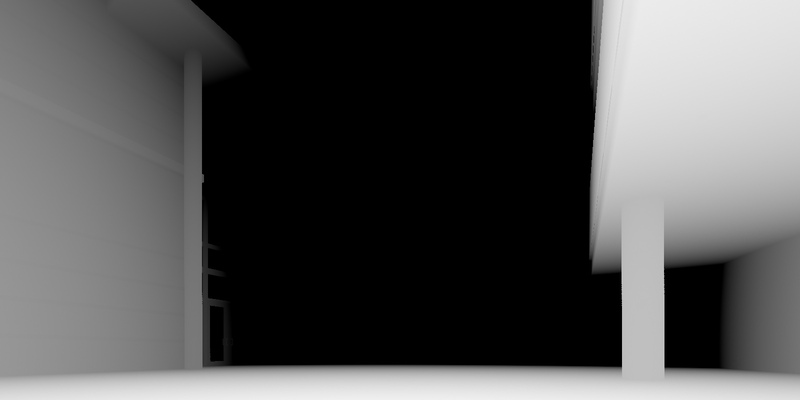 Under Special Effects, I usually turn on Ambient Occlusion, and set the distance to 3’. Under Advanced Rendering Options, I make sure that backface culling is un-checked so I can render both sides of a mesh. If I have a single plane of glass then I check Thin walls. If my glass is a box or has thickness, then I leave it as solid/thick. I find the real magic behind getting realistic renders lay in the material reflections. I usually have a reflection map that drives how much reflection takes place. In this tile material, the grout lines are black meaning no reflection, and the tile is more white meaning a lot of reflection. I use the same map for a bump effect. I almost always have my glossy reflections lower than 1.0. For this example I have it set to 0.4 – meaning the reflection is scattered at 60%, in this case with 8 samples. Next I go to lighting. In this scene I have 1 Daylight System, 309 photometric lights, and 5 mr sky portals, for a total of 315 lights in my scene. 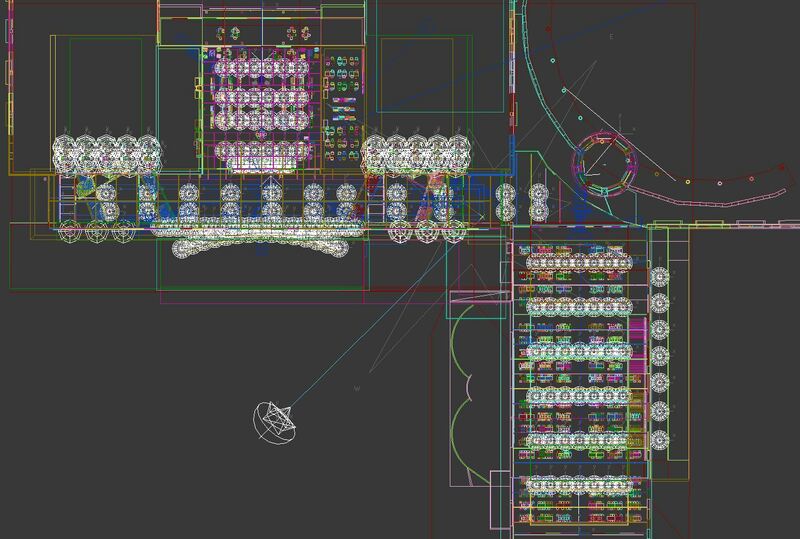 This many lights in a scene would typically be brutal. 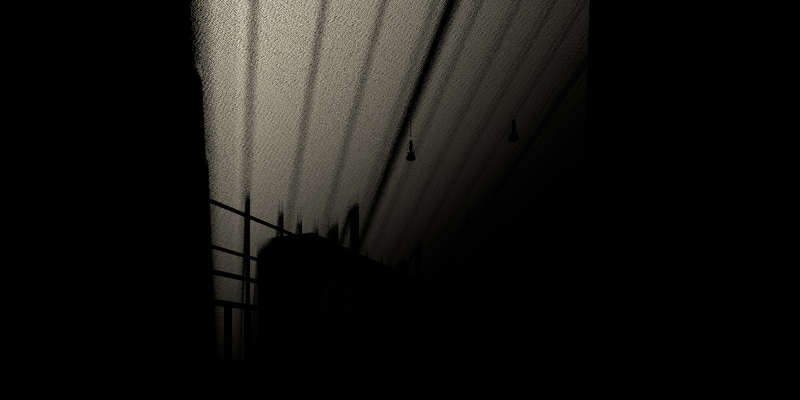 However, for my photometric lights, I opted to use Point for my Shadow type. It doesn’t look as good as the other options (Line, Rectangle, Disc, Sphere), but renders much faster than the others at their default setting. 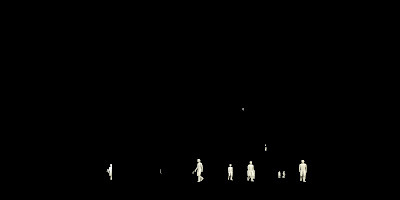 For every shadow that Point renders, the other options render 32 samples per shadow. So this is a big render saver. For my photometric lights, I usually use the default light levels, and switch to photometric web using an IES file for the distribution. As for the mr sky portals, I try to limit their use to just where the large windows are. Render times take a big hit from mr sky portal shadows as well. This image is what the render straight out of max looks like, known sometimes as the beauty pass. I render inside models with GI & FG. Surprising to me, I rendered this scene with the default settings for both GI & FG. I was reasonably happy with the results. I did get noise near some of the clerestory windows, but I was willing to live with it. I left all of my lights on, then calculated GI, saved it to a file, then rendered FG from each camera adding onto the previous FG map. Before rendering the final renders, I had 1 GI map and 1 FG map for the entire scene. This made it easier for me to switch cameras and not have to worry about changing light maps. The GI map ended up being 154 MB. The FG map was rendered at 50% from the final renders at 800 x 400 pixels, and ended up being 34 MB for all 11 camera angles. 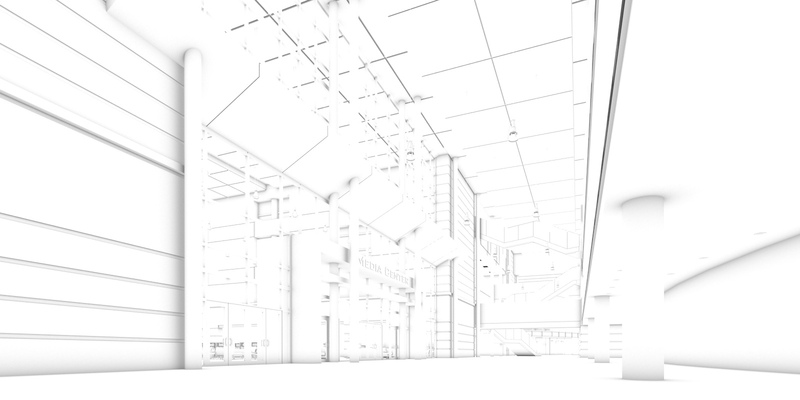 This is the Ambient Occlusion Pass. If you want to know how to do this, check this post out. 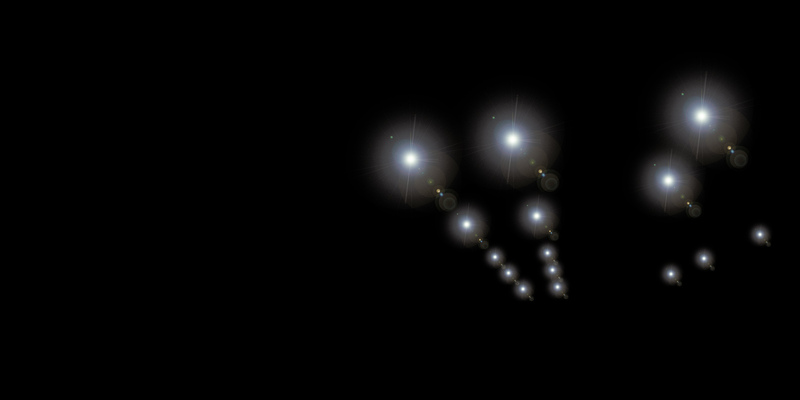 This is a flare pass for the lights. 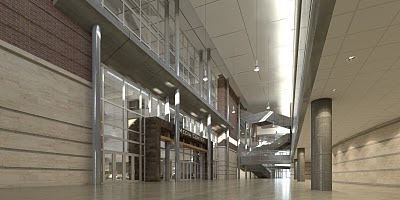 This can be created in 3ds max, or in post. I usually create this image in PS, it’s faster and gives me greater control on what the flares look like. This image is a dummy people pass. 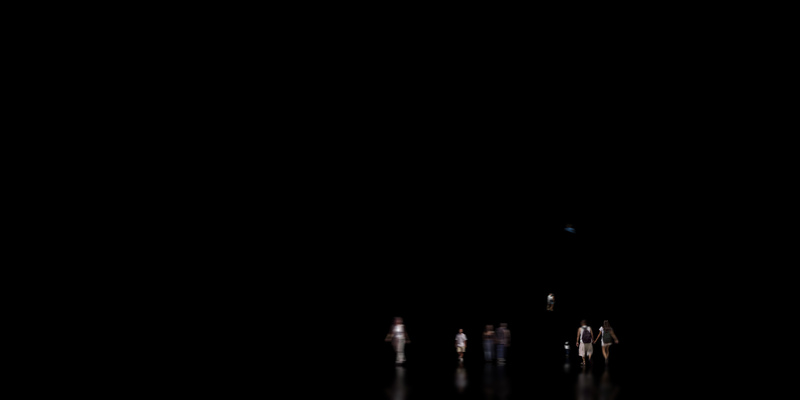 I rendered this one out to give me correct scale for adding people in PS later. This way my people won’t look like giants or elves when I scale them. These are the people that replace the dummy people. 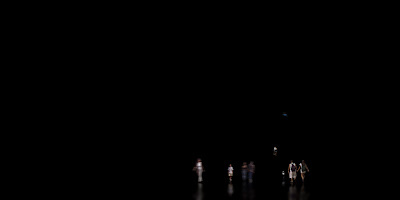 To each person I add motion blur, reflections, shadows etc. Then I save this as a .png file and add it to my beauty pass. 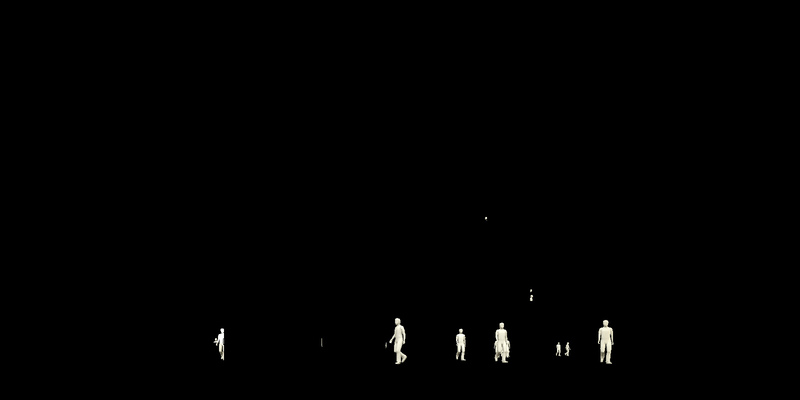 This is a volume pass that I render in 3ds max. 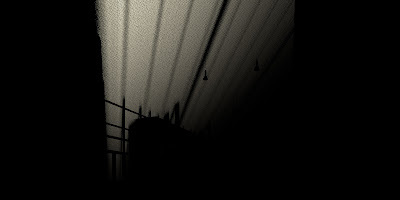 It is created using the Parti Volume Shader. I then add it in PS and tweak it to the right look. Lastly, I render a Z depth pass. Depending on the rendering I sometimes use this. If there really isn’t an object in the foreground then often I don’t use this at all, and rather just manually blur the edges of my image. With all of these passes combined in PS, AE or other compositing photo/video editing software, you can take your original image and turn it into something much stronger visually. This quick video should give you an idea of how I add all of these elements together using color correcting, layers, levels, to transform a raw rendering into a finished rendering. 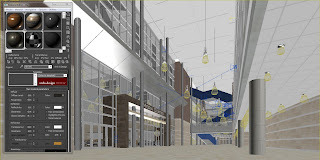 If you would like to see all of my renderings from the KHS project, click here. Nice. 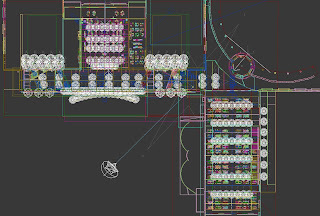 I'm using 3dsmax 2009, I was wondering how do you calculate an FG map for 11 cameras? 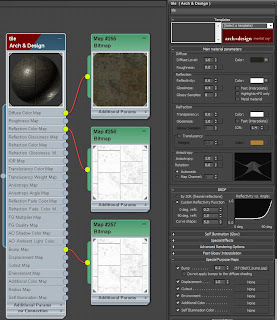 Superb results and very interesting to see your workflow! Awesome job. What lens flares did you use? Great stuff Ramy. Keep up the great work! I have a question. When you light an interior scene do you only put lights in the real world locations or do you go for more of an artistic but not necessarily accurate lighting? or maybe a mix of both? in the Reuse (FG and GI) rollout under the Indirect Illumination tab, set the Final Gather Map to "Incrementally Add FG Points to Map Files". Then render from every camera in your scene. It will incrementally add every FG map from each rendering to the previous map. When your done, change your Reuse FG Map to "Off"
The lens flare is a render filter from Photoshop. I think I used the 105mm Prime. For interior lights, I try to place them in real world locations. This will ensure more accurate results to the finished product. Great work rly like the way you approach with post production but i got one question. What is that blue circular gradient that you add and then free transform to fit the image and then set to overlay? Where do you get that staff It rly gave an effect to the image! Good post and good comments. wow .. this is awesome man . i loved your process . would like to ask you where did you get your textures and the peoples photos you added from ? This is an awesome tutorial.., thanks very much. i have a question to you if you don't mind. what kind of lights did you use in the coffer light? I got really hard time to achieved that in mental ray. 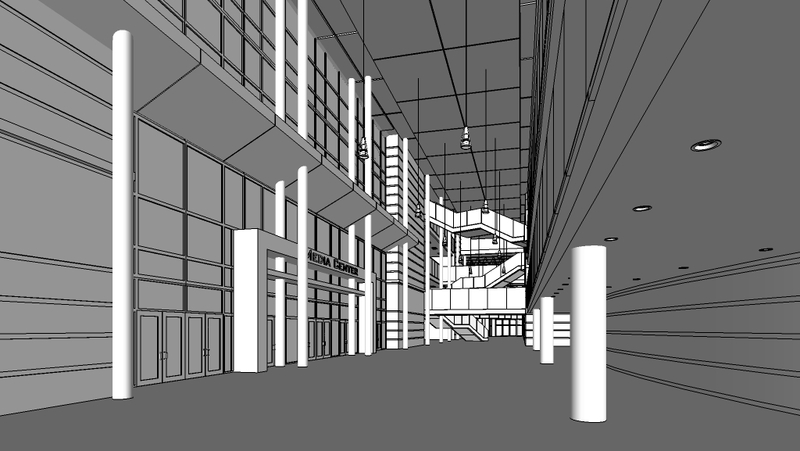 thanks again..
Nice,very useful for those who use sketchup for modeling and wants a render of quality,thanks! !by the way,anybody knows the name of the song?thanks. btw; been listening to Dave Matthews the entire day after watching your video tut! The Song is "Dave Matthews Band - Two Step" live version from album "Listener Supported"
The blue circular gradient simulates iridescence/vignetting from a camera lens. I make a copy of the layers so when I apply a filter, I can still go back to the original layer pre-filtering. This is the one disadvantage of using PS over AE. Thanks for the comments everyone! Just to note: you will probably have a better chance of a response to your questions if you post your comment with a profile name. hey great tutorial, brilliant . would love to see a tutorial on how you did the animation which is breath taking. Solid work, Ramy! Great workflow, lots of images. Love the animations on your website as well, keep it up! 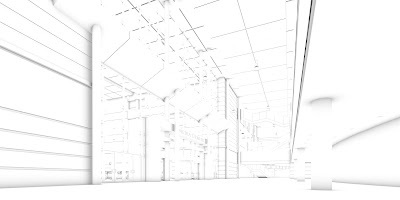 When I import from SketchUp to 3dsmax 2011 I have issues with lights? Is there some particular setting that I need to change? Photometric lights don't light at all...? 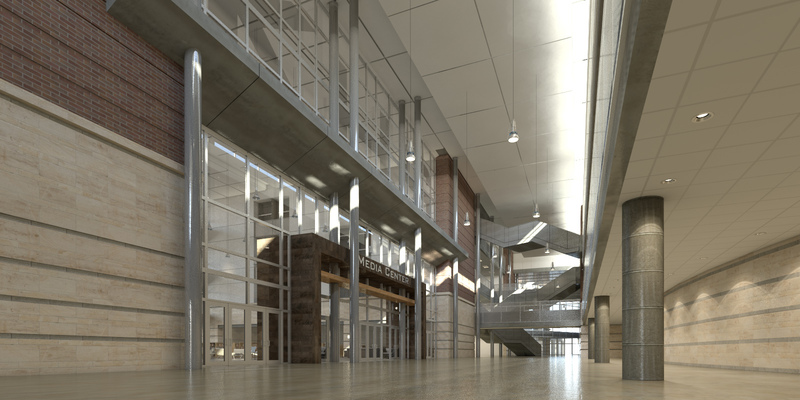 Great renderings, thanks for sharing. This is so well done. very inspiring. How do you do your depth of field / focus racks effects? Great work Ramy. 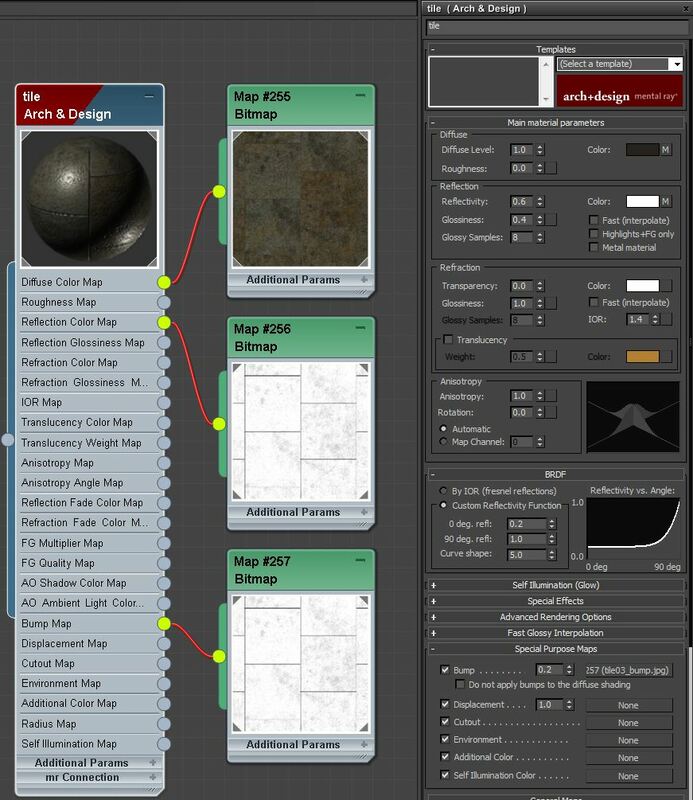 I am fairly new to 3ds Max and was wondering about importing SU to 3ds Max with materials. Now I am not working in SU, I just want to import models to practice my camera and material experience. I have downloaded to SU, then attempted to export from SU as sku file and my 3ds max 2011 will not import- I may not be doing it correctly. Another way is when I download model, I choose option to open with 3ds max and it works; however, it imports without materials- material editor is blank. I use Vray and have to re-apply all materials (time consuming). Is there any method to do this that will import materials and be able to function with Vray? Any help is appreciated. Really nice work and I like the workflow. I have one question. How to do that? 'converts SU materials to A&D materials automatically'I am suing a script to change A&D materials...If I don't need that, it helps a lot. I really enjoyed the information and articles you provide here on your blog! I'm an architecture student in the Netherlands and my last half year was dedicated to mastering the art of 3d visualisation. Your articles played a key rol is that proces. Many thanks for all the revelations, and I'll be loyally checking your blog in the future. Keep it up! Outstanding work Ramy, I really appreciate the time you took to lay this out. I currently use SU to Kerkythea but am considering the switch to Max because of the amount of 3rd party content available for it. Hello and congratulations for your work! I saw that enter directly into photoshop lensflare as a png file. Where can I download these files? Starting at 1'32", you appear to be duplicating lights in one layer using a tool that looks like a brush of some kind but with a little handle at 5 o'clock. Can you let us know how you did that? It is copying all in the same layer. The trick is to be sure you have everything selected in the layer first. Because there was just one light, you can use the marquee tool, and drag a window across the light. Then I switched over to the selection tool. If you hover over your selection and hit Alt, you will notice that it will change the icon to allow you to "copy" the selection, but it will keep it in the same layer. I do this alot for trees, and objects that make a PS file heavy with many layers....hope that makes sense. Thanks Ramy- you've unlocked another PS mystery! Gracias Ramy....por compartir su conocimiento...Un verdadero placer. I just want to say thank you for your post. 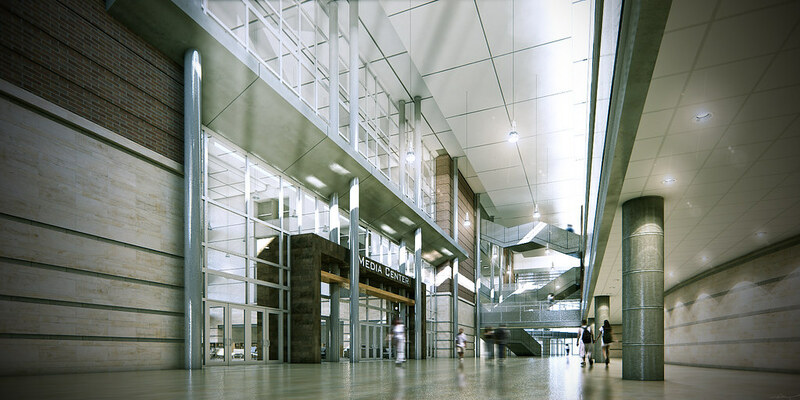 I have worked a long time with Vray. Now I must learn mental ray. For 9 years, it turns to be amazing with mental renderer. Your posts give me most of the answers. Great job! Keep moving forward.